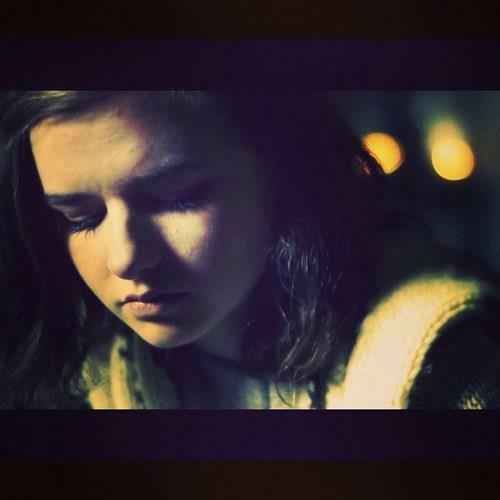 Some of the greatest music has been born of musicians facing challenges and it’s safe to say that this is the case for extremely talented, Rosie Carney. The Donegal-based 20-year-old spent ten years in New Hampshire, England before moving to Ireland when she was ten. Naturally, a move can be a cataclysmic change for anyone but for Rosie it had an immense impact. Inspired by the ruggedness of her hometown, Downings, she began to practice music. She incorporated the unruliness of the Irish landscape as well as its picturesque qualities into her performances; something that would prove to be integral to her style. By the age of 16 she had already signed a major contract with Universal’s Polydor. Again, it caused a significant shift in the teenager’s life- introducing her to artists such as Brendan Benson (The Raconteurs), Angelo Petragalia (founder and producer of Kings of Leon), Ian Archer, Crispin Hunt, Eg White, Charlie Fink (Noah and The Whale), Turin Brakes, Benjamin Francis Leftwich, to name but a few. While in January of 2015 she was released from her contract, it proved to be enough time for her to make significant connections with these acclaimed artists and producers, some of whom she was fortunate enough to co-write with. For many, a contract release would have been soul-destroying but Rosie continued to perform and write. By December of 2015, her diligence and talents had paid off as she was invited to perform in Austin, TX by SXSW to showcase her music. After making it onto NPR’s top 100 song list, she contacted Stevie McMin, founder and head man of independent and home to Phoria label, X Novo Records.